List of domain names | Oriste: domain for sale! Below is the list of all the domain names offered, in alphabetical order of TLD. 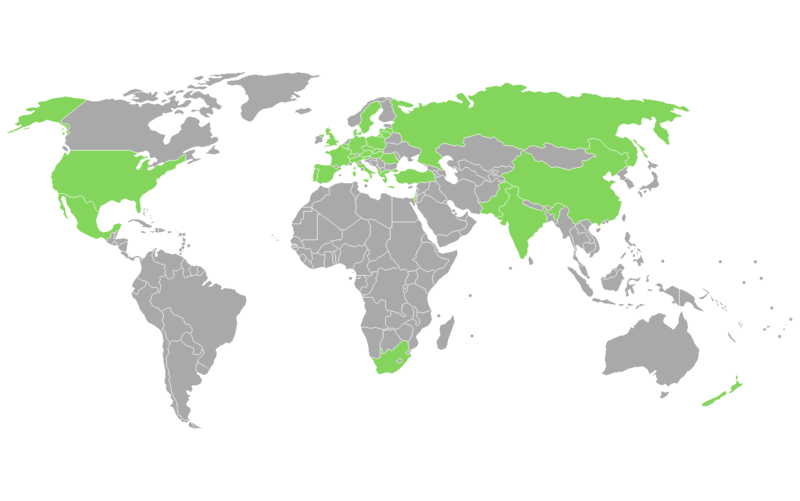 In the map above these domains are coloured in green. Where the TLD is not a country code per sé — as in .com, .org, .info, .net — they are allocated geographically to the US. The .eu domain is not represented geographically, as are the .mobi and .tel domain, for obvious reasons.